The concept is simple. 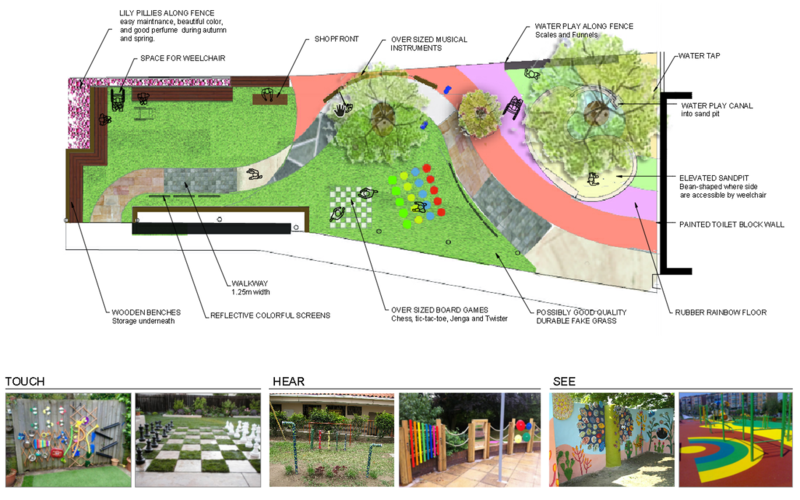 The garden is to be Inclusive and suitable for people of all abilities, the new proposal will have 5 big spaces designated: Smell, Taste, Hear, See, Feel. Within each space there will be equipment, and materials that aim to develop each student creativity and physical ability, amongst other. Design should combine both man-made elements and natural materials to stimulate creativity.